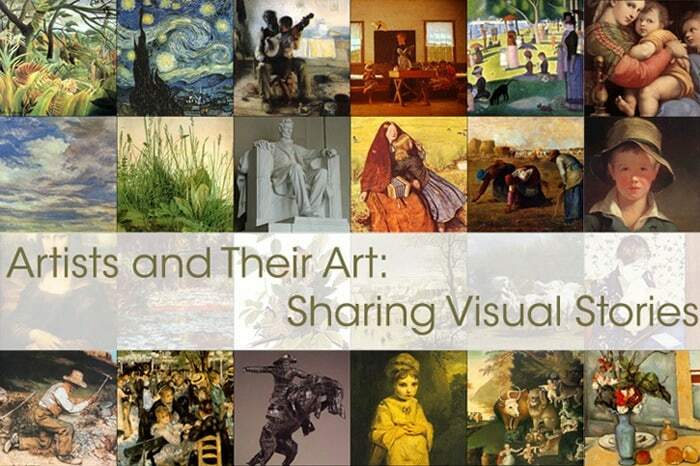 Artists and Their Art: Sharing Visual Stories is a free, downloadable resource with ten lessons per grade level. You can go in as in depth or as light as you choose to because of the background information that is provided in each package. 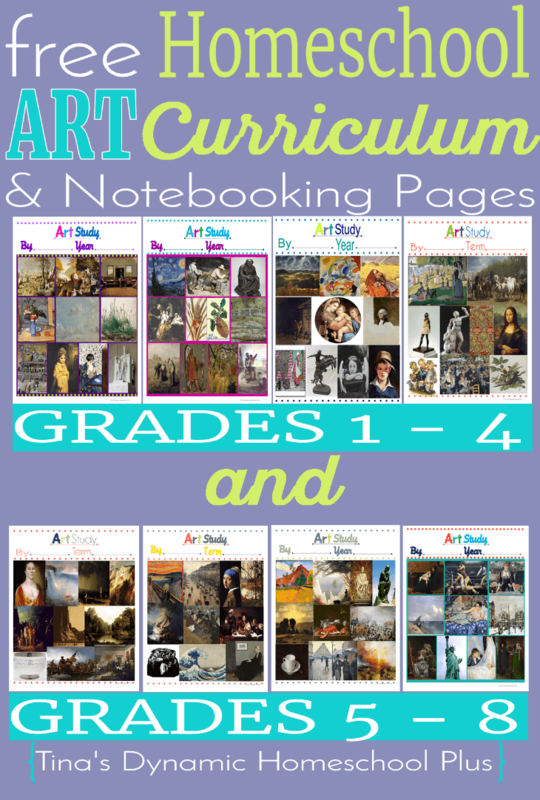 There are two notebooking pages that go along with each lesson. Both sets have the SAME art pieces, but one set has one more text box and the other set has a sketch box. These free art lessons promote visual literacy through artwork and will be great for the whole year if you study one artist per month for a whole school year. Click here for Concordia University Chicago‘s free art lessons here or go via Tina’s Dynamic Homeschool Plus.